Not listening to your audience, trying to do it all, doing too much, typos, and ignoring your brand can all put your content marketing foot in your content strategy’s mouth. With competitive markets and an audience with divided attention, avoiding mistakes in content marketing is more important than ever. Content Marketing Institute provides some priceless advice (24 pieces) on marketing wisely by avoiding some all-too-common pitfalls. Take a look at their list to get your content marketing off to a positive start or to birth a shiny, new strategy from the ashes of your last one. Often the most cluttered space in a consumer’s life is his or her inbox. That’s right. It’s full of junk, spam, offers, newsletters, and other messages from marketers. In the dregs of an inbox or — gasp! — spam folder, how do you make sure your message is seen? This article from WriterAccess offers some sage advice on encouraging your subscriber list to read messages that inspire curiosity and conversions, rather than clicking unsubscribe. The content that draws in search bots like magnets isn’t always the same content that humans love to read. To drive traffic to your website and increase conversions, however, it’s important that your content caters to both the electronic and living, breathing audiences. 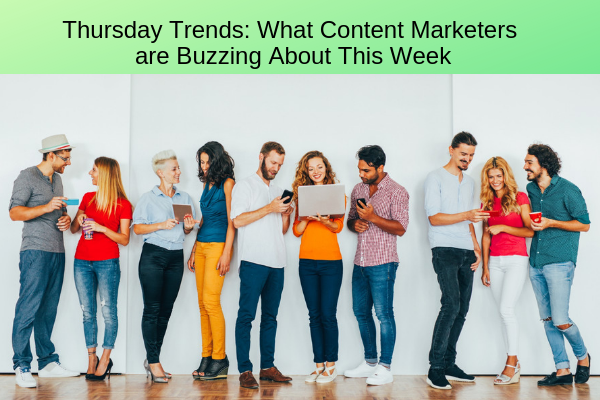 This recent article from MarTech Series provides some strategies to solve this content marketing problem by making your content appeal to both search bots and humans simultaneously. Their solution: divide and conquer. They split content into three content categories (Hygiene, Hub, and Hero) that will cultivate magnetic content. If you’re generating and publishing content without a well-planned content strategy, then odds are you aren’t providing a positive content experience for your audience; you’re just providing content, lots and lots of content. Instead of drowning your audience under miles of sentences, give them a content experience by directing them to the exact sentences they should be reading. Diginomica says that content needs to be taken beyond marketing into the land of experience, where your audience will become truly immersed. In the article, they explain how a fully imagined, documented, and realized content strategy is essential to providing a genuine content experience for your audience. In essence the difference between content marketing and content experience is like walking through an empty warehouse or walking through a carnival funhouse. Pay per click and AdWords campaigns get expensive fast. You don’t want to flush precious marketing dollars down the drain on ineffective campaigns and content with disappointing results. Sigh. If only there were a way to test digital campaign content before spending big on digital media. In this article, Social Media Today tells us a big secret: using social media, you can test digital campaigns before you dedicate mountains of resources. Read the full article to lean how to implement social media testing to see how your brand and message resonates with your target audience, test campaigns, find out what people think of your brand, optimize your content, and more. Who knew you could do more with Twitter than just Tweet? Jennifer G is a full-time freelance writer and editor with a B.A. in creative writing from the University of Montana. She enjoys researching and writing creative content to engage readers and developing professional voices for clients across all industries. She specializes in medical, health, veterinary, and financial writing. Having worked nearly thirteen years in finance, Jennifer applies her experience in the banking industry (marketing, social media management, consumer and commercial lending, customer service, accounts, and bookkeeping) to her writing work within the industry.